Just had to share this with you. I’m sure some of you may have already realized this, and/or maybe read the same book (don’t remember the name at the moment – still at the store). 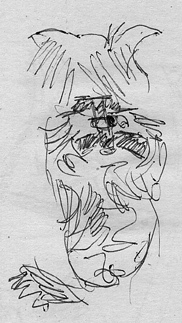 It made a mention of the self talk that we put ourselves through when we sketch. We think (using some of my own here 🙂 ), “there is no way that the arm can be that long” or “the head is too large” etc, etc. If I recall correctly the book suggested that instead of having that type of conversation with one self, we should be thinking something like “this angle should be like this” or “the distance between this eye and the other eye is this much” etc. I mentioned that to my wife and I heard laughter of agreement. 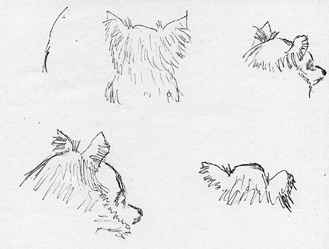 Here are some sketches I have been doing lately of our dog (long hair chihuahua). 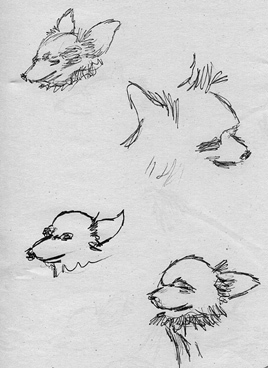 These are done on a doddle pad (newsprint) with a regular pen. 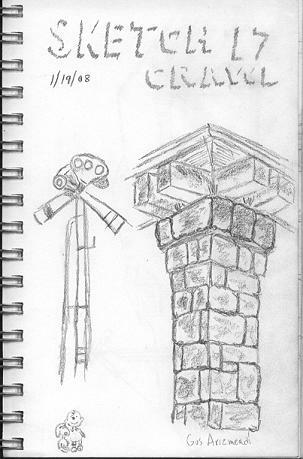 Last Saturday was Sketchcrawl #17, as always what a wonderful way to spend time, this is like my typical musing about the wonders of the universe except with pictures 🙂 An activity that bounds one to earth, to pay attention to that which is around us. 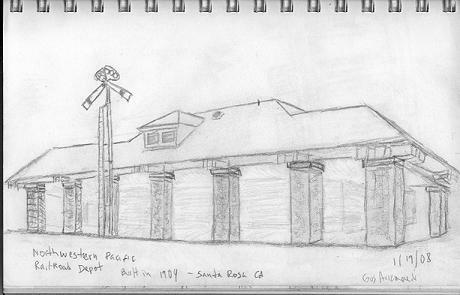 My initial thought was that the location wasn’t as glamorous as San Francisco, and/or that there may not be enough subjects to focus on, however once I got started I realized that if you stand still and open yourself to the surrounding area, there are quite a lot of interesting things to sketch. The attachments that hold us back. There is the possibility that it may never cross our mind that besides material possessions we are also attached to our way of thinking… and this trickles down to our creative processes and impairs us from working and/or progressing properly. Some of us may not even realize we are attached to the fear of not ever completing something (or starting it for that matter), or be good enough, etc., a self perpetuating circle – a self talk of doubts. Related to this topic, I came across a book a while back… its simple, small, of nominal cost, can be opened on any given page and/or read randomly, and it contains what I would describe as the perfect antidote to rid oneself of creative stagnation (maybe not right away). 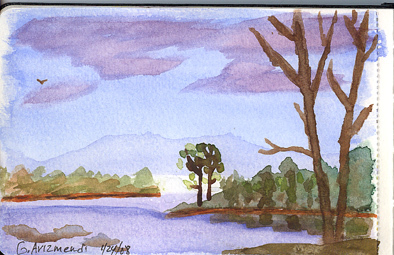 If it hadn’t occurred to you that maybe you are reacting automatically to some artistic situations, perhaps its time to take a few moments and try to analyze why that may be and refocus your energy. These type of books have helped me refocus when needed. What other books that you have read can you share with us and the readers here?